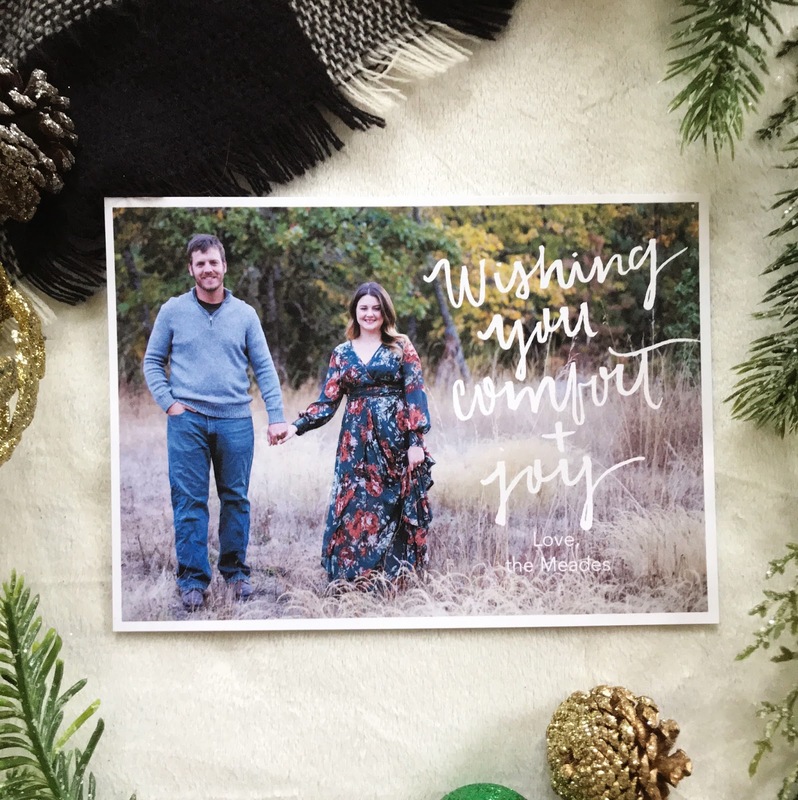 New Printable Christmas Card Designs + a Giveaway! How can December be only a day away?! This year feels like it flew by, especially the second half! We've been here on our new property for nine months now, and so much progress has been made. I'll be posting an update soon but that's not what I'm here to talk about today. A couple weeks ago I listed a new art print and some new Christmas photo card designs in the shop! I'm so excited about the way these turned out. I've been transitioning more into brush calligraphy instead of actual hand lettering, and I've been having a lot of fun with it in new designs! Since it's time to start thinking about sending cards out to your friends and family, it seems like a perfect time to have a sale and do a giveaway! For the next week, all of my printable photo cards are 30% off. That means you get the design for less than $9, and then you can print as many of them as you'd like, wherever you like! And all physical products ship for free with any purchase over $10! But, since it't the season of giving, I thought I'd go ahead and give a free design to not one, but TWO of my lucky followers! So all you have to do is send me your high resolution photo, I'll drop it into whatever design of your choosing, and send it back to you to print! Just leave me a comment and tell me which design you'd choose and that's it! You're good to go. I'll choose a winner this Saturday, December 2nd. Have you started thinking about your Christmas cards yet? Do you usually do a photo card, or do you like a traditional folded card?